Administrative Professionals Day (AKA Secretaries Day) is the time when those in charge show appreciation to their staff for all they do to keep everything running smoothly. Let's face it, without a good team behind you it would not be business as usual! 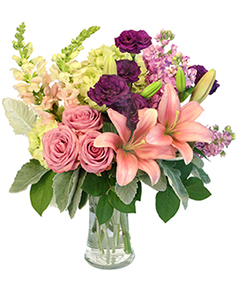 Let us deliver the best in administrative professionals day gifts to your staff -- from beautiful flowers to gift baskets filled with yummy snacks, you can't go wrong with FALLS LAKE FLORIST! Having a hard time deciding on the perfect gift for dad? FALLS LAKE FLORIST can help! Send dad a artistically crafted floral tribute to show him how much you care. Perhaps your dad is the type that would prefer a gift basket filled with his favorite snacks! Whether your dad lives in Raleigh, or clear across the country, we've got you covered! Fall is a favorite time for flowers. The colors of autumn abound during this beautiful season of Thanksgiving. Let FALLS LAKE FLORIST help you bring this color into your home with the help of autumn flowers. With the simple addition of flowers on your Thanksgiving table, your family dinner will transform into a glorious Thanksgiving feast! FALLS LAKE FLORIST in Raleigh can help you say "I am thankful for you," to any friends and family who are unable to make it to your house for the holiday. Just give us a call, we are thankful for you. Sometimes the best way to show your boss just how much you appreciate their fine leadership is by sending flowers. 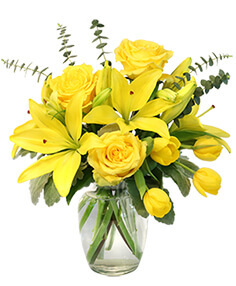 With a National Boss Day gift of flowers from FALLS LAKE FLORIST, your boss will know exactly how you feel. Everyone wants a raise. Raise your boss's spirits this Boss Day with one of the many colorful flower arrangements from FALLS LAKE FLORIST in Raleigh, NC. We all know people who go out of their way to do wonderful things for others and never expect anything in return. Sweetest Day is THE DAY to show them how much you appreciate them. Nothing satisfies a sweet tooth like a gift basket full of yummy snacks. FALLS LAKE FLORIST in Raleigh can help you select the right sweets for your sweetie this Sweetest Day! Christmas decorations have come a long way, even since we were younger. It's perfectly normal to see a Christmas tree decorated in glitz and glam. No matter what your style, FALLS LAKE FLORIST has the right Christmas accessories for you! Whether you need a centerpiece for your holiday party, a wreath for your front door, or even help decorating your Christmas tree, we do it all. 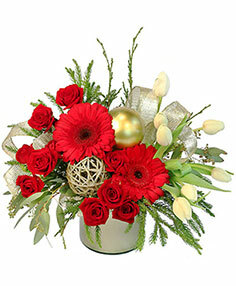 Don't hesitate to give FALLS LAKE FLORIST a call for all your Christmas needs. Roses are red, violets are blue, send flowers on Valentines day and you won't be blue too. Nothing means more to your sweetheart than surprises. 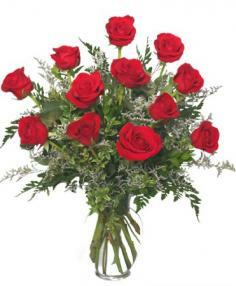 On Valentines Day, surprise her with a lush bouquet of roses from FALLS LAKE FLORIST in Raleigh. When it comes to romance, your local florist, FALLS LAKE FLORIST knows best. Let us help you choose the perfect bouquet of flowers for your sweetheart. You can browse the selection above and buy online, or give us a call for something more custom. Whether she likes roses or Gerberas, red or purple, we can create something one-of-a-kind this Valentines Day.